In our introduction to Excel we talked about the basics of Microsoft Excel. Now let’s learn how to add in Excel. 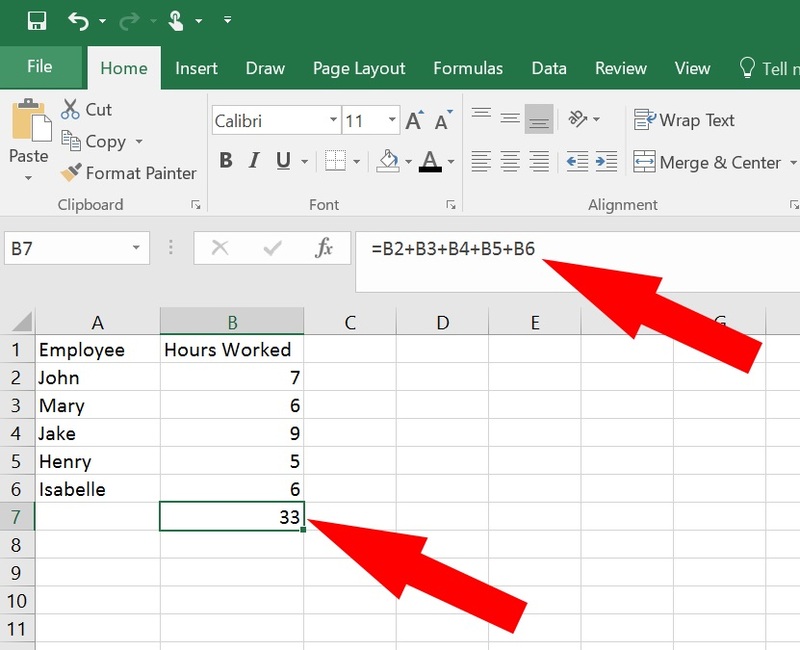 In this tutorial we’ll show you how to add in Excel by adding numbers, cells and using the the sum formula in Excel. 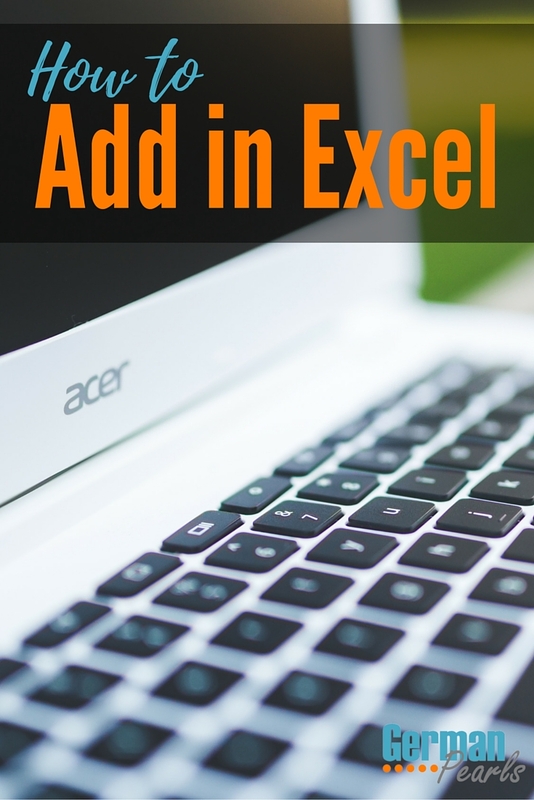 There are several different ways to add in Excel. Here we’ll go over basic addition formulas and using the sum function. If you want to use Excel to perform a calculation, simply type an equal sign and then the calculation you want it to perform. When you hit enter the cell will show the result 4.
and hit enter. Excel will calculate the answer and show 10 in the cell. and hit enter. Excel will calculate the answer and show 3 in the cell. Note that the contents of the cell will remain the formula. To see this, highlight the cell by clicking on it or moving your arrow keys until it is the cell highlighted by the dark box. Now, with the focus on the cell, notice that the formula is displayed in the formula bar. Using the arrow keys or your mouse highlight cell B7 to edit it. Excel will add the cells and display the result. Notice above that the cell shows the result of the calculation, 33, but the formula bar still shows the formula that’s actually in the cell. 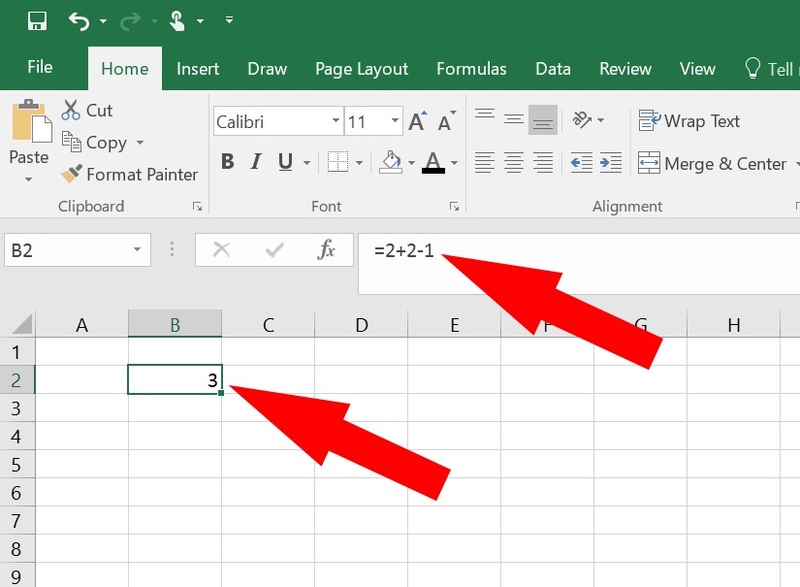 The result of the formula, 33, will show in the cell on your screen and if you print out your spreadsheet but the cell actually contains a FORMULA, not the number 33. This is important to remember because if you were to change the numbers in any of the cells B2-B6, the formula would automatically be recalculated and the value in cell B7 would change. 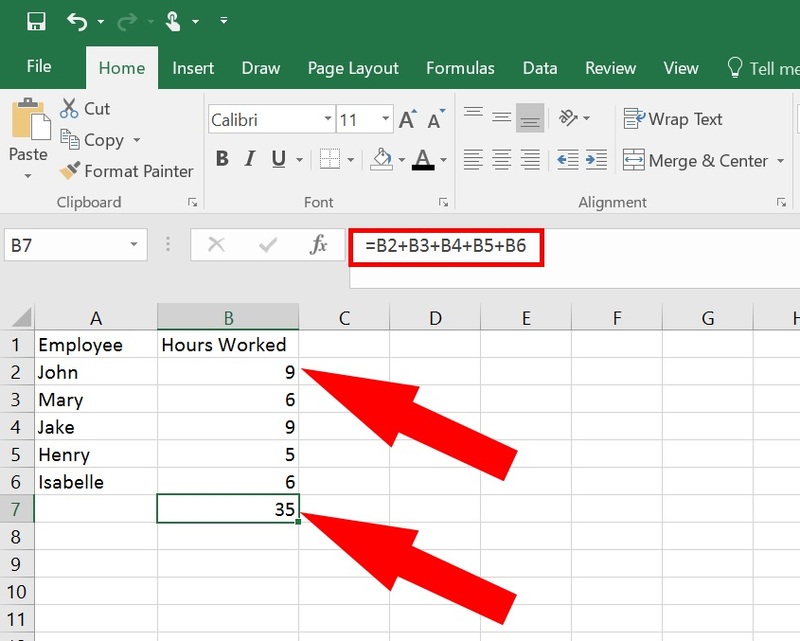 What if we had just added the number of hours worked by each individual in cell B7 instead of adding the CELLS showing the number of hours worked? If we did this, then when we added John’s extra 2 hours the total in cell B7 wouldn’t have changed. 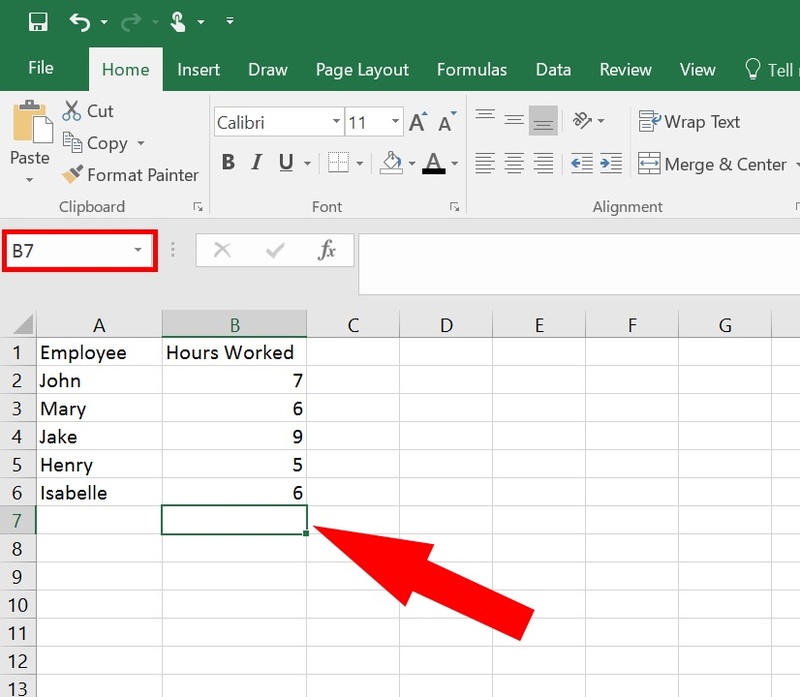 Now you can see the advantage of using cell references in formulas in Excel. Excel includes predefined functions. These functions are built into Excel and allow us to perform calculations or change data in some way. For example, one of the functions built into excel is the SUM function. That means, when you type =SUM(…) Excel understands that you want to sum up everything inside of the parentheses. This is telling Excel we want to sum up the numbers 7, 6, 9, 5 and 6 and would give us the same result of 33. Notice that we use a comma to separate the numbers inside the parentheses. This is telling Excel we want to add the numbers inside cells B2, B3, B4, B5 and B6. It would give us the same result of 33 but this version has the added benefit of updating if we were to update any of the cells B2-B6. This formula tells Excel we want to add the numbers in cells B2 through B6. So, B2, B6 and any cells in between them. Notice that a colon (:) is used to tell Excel that we want to include all the cells between B2 and B6. Say we forgot to add an employee and inserted a row showing this new employee’s hours worked. 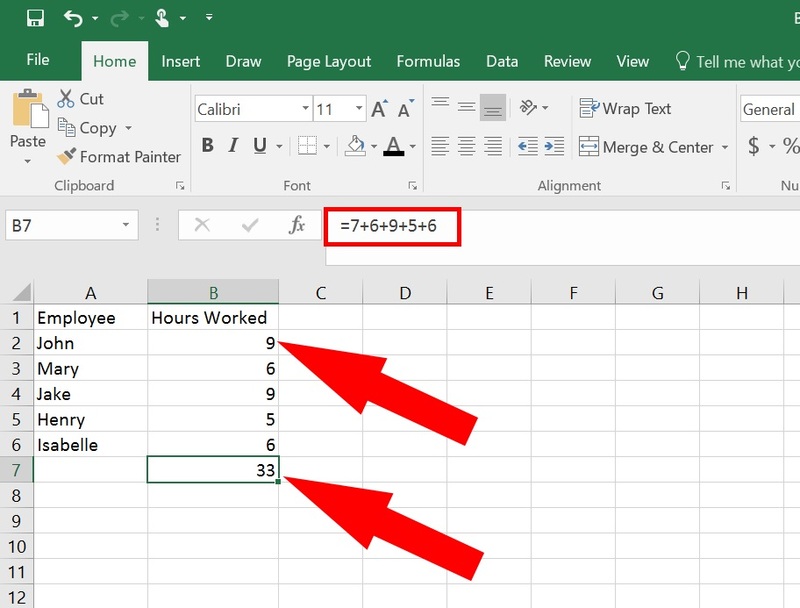 Since Excel is calculating the sum of all cells in that range the new employee’s hours would be included in the calculation. This is the benefit of using a range in your calculation instead of listing each cell individually. 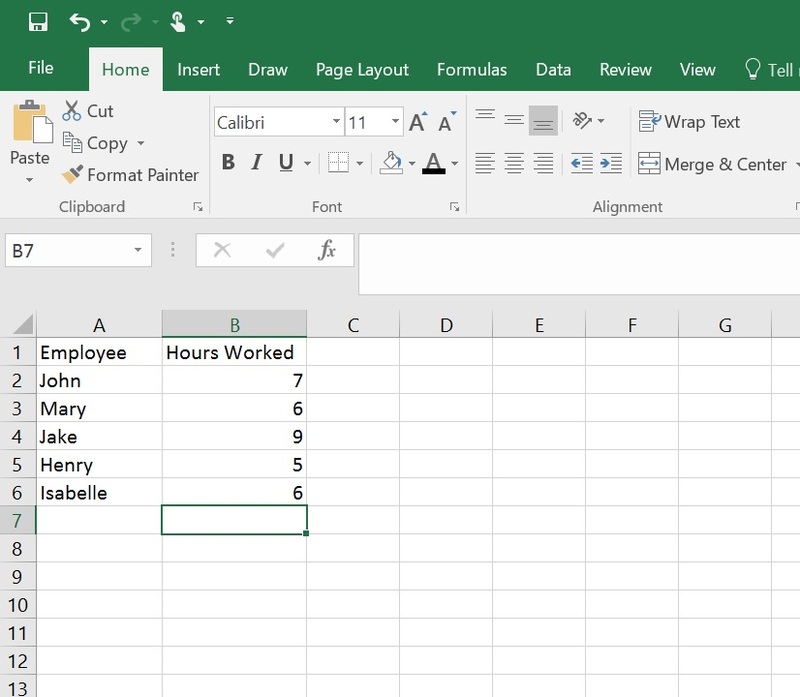 If you were wondering how to add in Excel we hope we’ve answered that question. 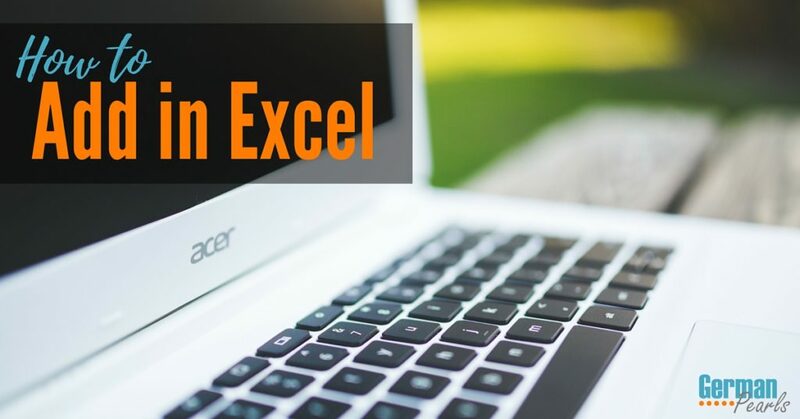 This post contains a few different ways to add in Excel, including some basic ways using calculations and formulas in Excel. If you have any questions, feel free to leave them in the comments below or contact me via email.